The Paddy O’Keeffe Innovation Centre was officially opened today (Friday) at the Teagasc campus in Moorepark, Fermoy, Co. Cork. 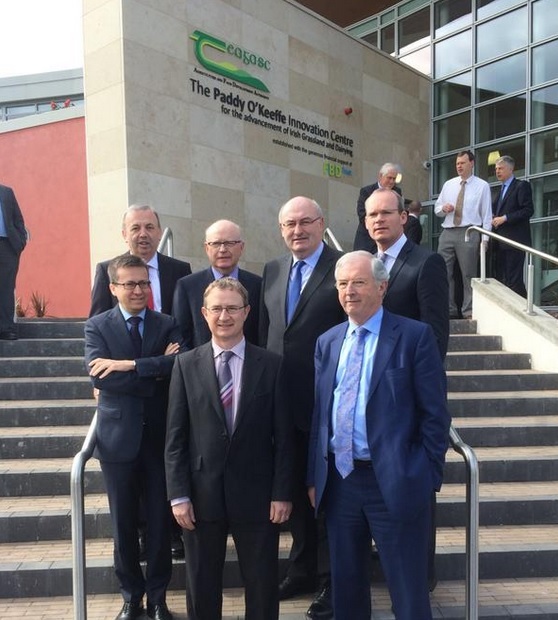 Over €4.5m has been invested in the new innovation centre for grassland and dairying, it was funded by FBD and the Department of Agriculture, Teagasc says. 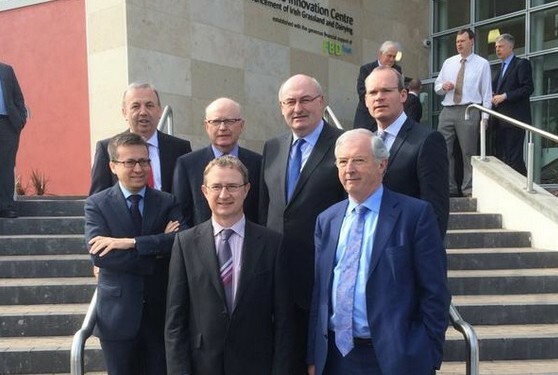 EU Commissioner for Agriculture Phil Hogan and Minister for Agriculture Simon Coveney were both present for the opening. The new centre will be used by the researchers, specialists and advisers involved in delivering the Teagasc Animal & Grassland Research and Innovation Programme, and in the delivery of part of Teagasc Education programme, it says. Specifically, Teagasc says it will support the research programme on grassland, animal breeding and health, and farming systems. EU Commissioner Hogan said that Paddy O’Keeffe really is one of the legends of Irish agriculture. “His passion for innovation, for change, for development, for productivity and ultimately for the sustainability of Irish agriculture and the rural way of life are values more important today than ever before, as we enter a new era of Irish, and indeed European, agriculture,” he said. Dr. Noel Cawley, Teagasc Chairman, said that as Ireland enters this new post quota era in milk production, and as we strive to increase our utilisation of grass in beef and sheep systems, this new Innovation Centre, will play an increasingly important role in developing Irish agriculture in the future. Paddy O’Keeffe was instrumental in the establishment of FBD Insurance Company and was its Chairman for over 20 years, Teagasc says.